Cre Recombinase is a Type I topoisomerase from bacteriophage P1 that catalyzes the site-specific recombination of DNA between loxP sites. loxP is a 34 bp DNA sequence at which confers directionality. 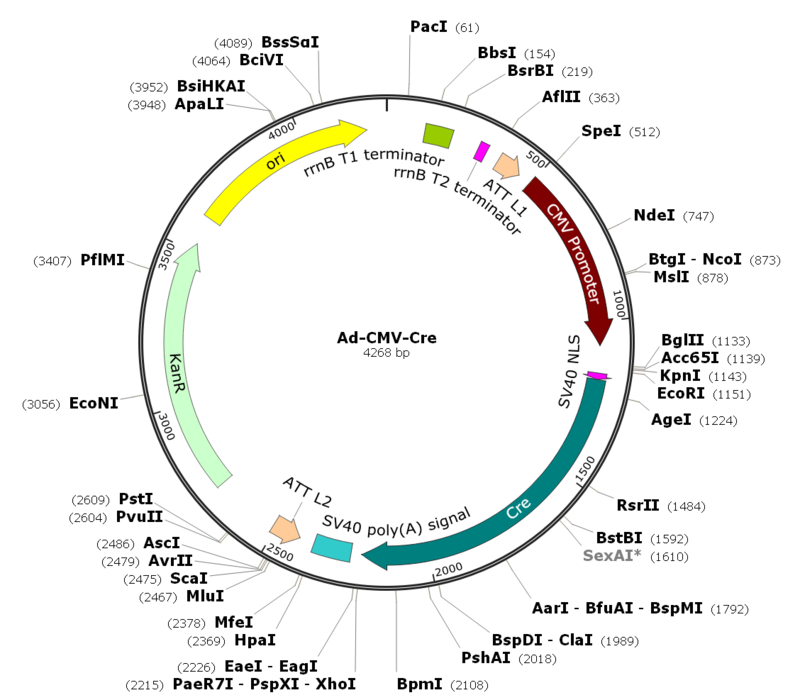 Cre recombinase is used as a tool to genetically modify genes, such as to delete a segment of DNA flanked by LoxP sites in cells or experimental animals. This pre-packaged adenovirus over-expresses Cre recombinase under CMV promoter. Ready to use format.